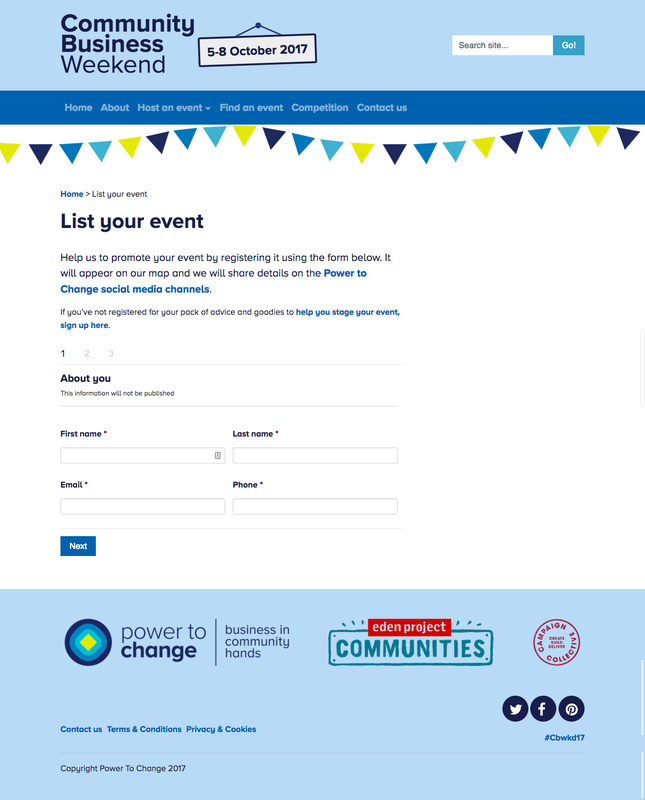 Power to Change is an independent trust set up in 2015 to support community businesses in England. Through funding programmes, they help local people start and run businesses together to benefit their community, and recycle money back into the area. 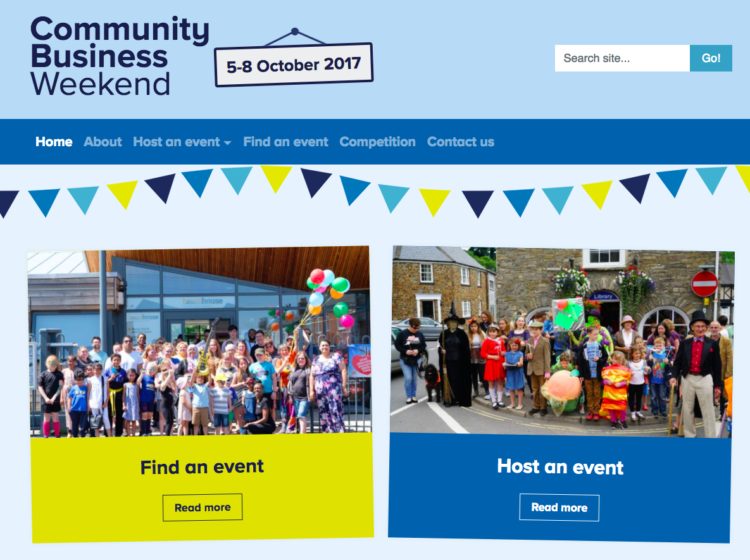 Community Business Weekend is a series of up to 200 ‘open door’ events run by community businesses to raise local awareness and support of their business and its aims. 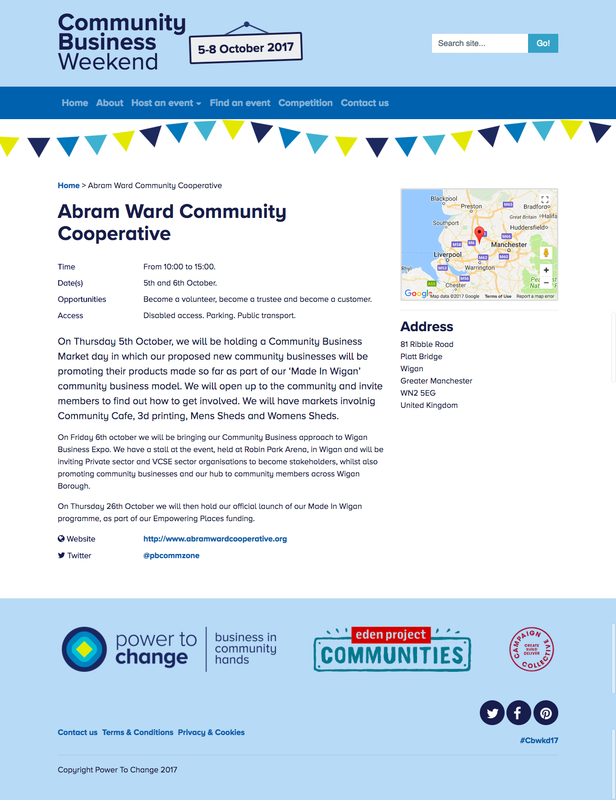 We developed a simple WordPress microsite to explain the campaign and provide an easy-to-use hub for organisers of open events to find out about the Community Business Weekend and register their event. 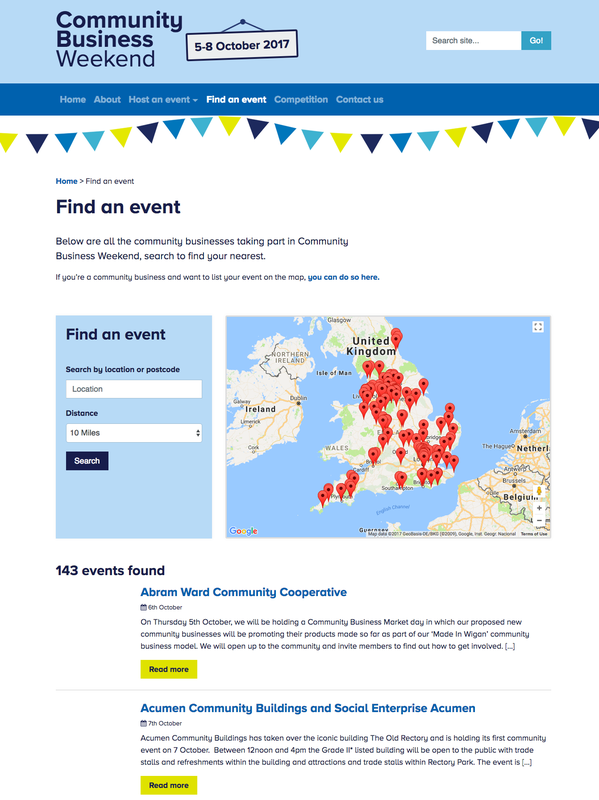 Attendees are given clear and engaging information about events in their area so they can work out how and why they should attend, using an interactive map. 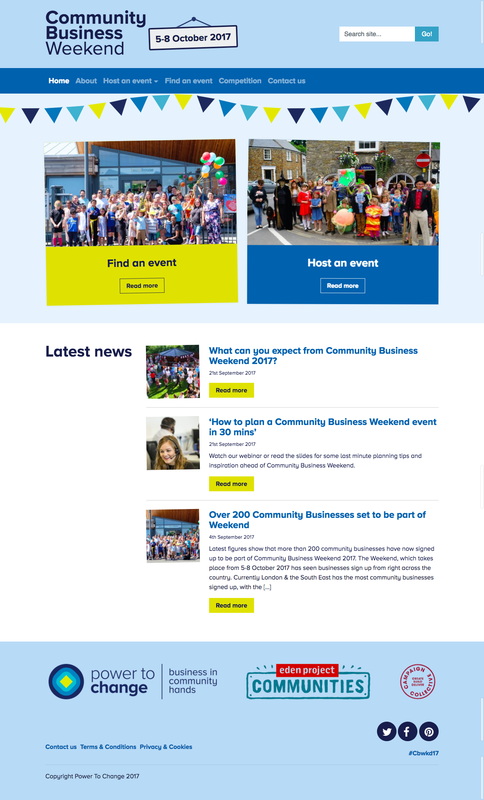 A flexible, easy to use content management system in WordPress enabled P2C to manage the site easily and extend or adapt it in future at low cost – including for subsequent years’ events.